Doxology Blog Tour Giveaway Event! 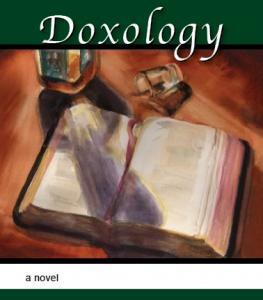 Thank you so much to everyone who participated in the Doxology Blog Tour and giveaway! The contest is now closed and the winners will be announced soon! I appreciate everyone’s support and hope you are all enjoying Doxology. TGIF just got a whole lot sweeter! On Friday, hop on over to Brian Holers’s most recent blog post at: http://brianholers.com/blog/ and find out how you can win a $100 Gift Certificate to Amazon and… wait for it… a brand new Kindle FIRE! That’s right, this is the biggie. Two lucky winners, two HUGE prizes! And all it takes is a comment—but not just any comment. There are rules—so check it out, read the post, and enter to win! WHIRLWIND MEDIA TOUR STARTS TOMORROW!!! TELL YOUR FRIENDS!!! My first official interview for Doxology posted yesterday, done by someone I met on twitter. Check it out at www.thewritecafe.com. Let me know what you think!